When your child is sick with an infection (caused either by bacteria or virus), it is common for them to have a fever. In most cases, a fever will not hurt a child and will usually go away after 72 hours (3 days). Babies younger than 6 months should see a doctor when they have a fever. Older children can be treated at home as long as they get enough liquids and seem well otherwise. However, they should also see a doctor if their fever lasts for longer than 48 hours. The right method depends on your child’s age. It’s important that the measurement is accurate. For instance, taking a rectal temperature is still the best way to get an exact reading for children younger than 2 years, but most children don’t like to have their temperature taken this way. Although taking a temperature under the armpit isn’t as precise, it may let you know whether your child has a fever. Do not use a mercury thermometer. If it breaks, you and your child may be exposed to this toxic substance. Do not use an oral thermometer to take a rectal temperature or a rectal thermometer for oral temperature taking. A digital thermometer can be used for both rectal and oral temperature taking. It is made of unbreakable plastic, is easy to read and measures temperature quickly. Ear thermometers are expensive and can be complicated to use. The method used for taking the temperature depends on the child’s age. The armpit (axillary) method is usually used to check for fever in newborn and young children but is not as accurate as a rectal temperature. If an axillary temperature does not identify a fever but your child feels warm and seems unwell, confirm the temperature with a rectal measurement. The degree (or height) of a fever does not tell you how serious your child’s illness is. How a child acts is usually a better sign. A child with a mild infection can have a high fever, while a child with a severe infection may have no fever at all. Keep your child comfortable and offer plenty of fluids. If your baby has a fever, remove extra blankets and clothing so heat can leave her body and help lower the body temperature, but don’t take off all of your child’s clothes because she may become too cold and start shivering, which produces more body heat, causing the temperature to rise again. Sponging your child with tepid (lukewarm) water, alcohol baths, and rubs are not recommended. Medication is not always needed to reduce a child’s temperature. In fact, the best reason for giving your child medicine is not to reduce the fever but to relieve associated aches and pains. Paracetamol (such as crocin, calpol, etc and others) is the best medication for a fever. Unless your physician says otherwise, parents can give the dose recommended on the package every 4 hours until the child’s temperature comes down. The temperature usually comes down in 1.5 to 2 hours and then rises again, in which case the medication may have to be repeated. It is important not to exceed 5 doses in 24 hours. You can also use ibuprofen, which is found in products such as ibugesic. Be sure to follow the directions on the package. Ibuprofen can be given every 6 to 8 hours, up to 4 times in a 24-hour period. Ensure that you do not exceed the recommended dose. Warning: Do not give acetaminophen and ibuprofen at the same time. This information should not be used as a substitute for the medical care and advice of your paediatrician. Surya group of hospitals are a pioneer in modern healthcare services for women and children since 1985. We offer cutting-edge facilities along with a staff that’s highly acclaimed in their field – including paediatric experts. 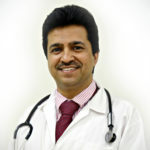 To book an appointment in Pune with Dr. Sachin Shah, please call 020 67915400/01.